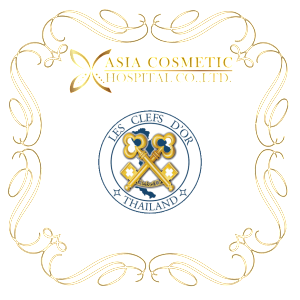 Asia Cosmetic Hospital Thailand, One of the best cosmetic surgery – plastic surgery facility in Thailand. Most famous Plastic Surgery & Cheap Plastic Surgery in Thailand. 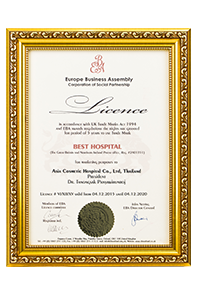 Asia Cosmetic Surgery Hospital is a world -class Best Plastic Surgery hospital in Thailand, located at soi 30 Rattanathibet Road Bangkasor, Muang Nonthaburi, Thailand 11000. 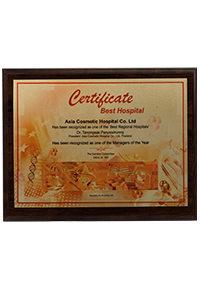 Asia Cosmetic Hospital is totally committed to give local and international patients quality cosmetic surgical procedures. 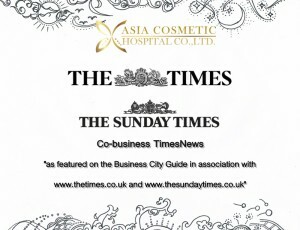 The principal surgeon, Dr. Tanongsak Panyawirunroj, is a well-rounded cosmetic surgeon that will provide each patient a unique specialized care and in collaboration with his professional staff who are always available to render quality service to all the patients. We guarantee to each patient that we will pour out our very best every time we provide our service. The Asia Clinic medical staff in cooperation with the patients themselves will harmoniously work together to achieve the successful surgical results. By Dr. Thanongsak Panyavirunroj Plastic Surgeons with the veteran was in plastic surgery for 15 years and guaranteed with quality team to serve you. To help you get the best out of your life to change yourself. 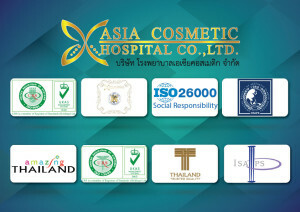 • Asia Cosmetic Hospital (Asia Clinic) Asia Cosmetic Hospital Co., Ltd.
• Address: 25/54 Moo 8. Rattanathibeth Bangkrasor Nonthaburi 11000. 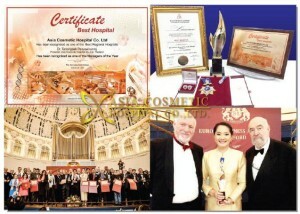 • Website: www.asia-clinic.com (Thai), www.asiacosmeticthailand.com (ENG). • Date of establishment : August 8, 2012. Nursing and Medical Team Skin care. • 2013- CSR Project Assistance Program, Department of Surgery-free society 1,000,000 Baht. Definition “Plastic Surgery” is a method of reconstructing or restoring body portions, by manipulating tissues for the management of injury or for the reason of enhancing the physical beauty. “Plastic Surgery” is a method of reconstructing or restoring body portions, by manipulating tissues for the management of injury or for the reason of enhancing the physical beauty. The real worth of plastic surgery is totally different in the society’s discernment. The mass media exaggerates the negative results of cosmetic surgery. They are showing those with asymmetrical and oversized lips and breasts of patients which would directly make its image undesirable. However, in general, the patients who go through under the knife have positive and refined results. Let us all remember that this type of surgery was made to solve the deformed appearance and to restore function to ailing body parts. 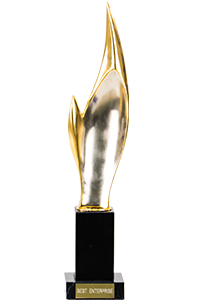 There may be some flaws, however, the truth is that mistakes on surgeries are not only limited to plastic surgeries but also common on medical purpose surgeries. The reality is that all surgical operations have risks. The word plastic would not mean that the patient will have more unreal results. Plastic surgery has two main categories, the cosmetic plastic surgery and the reconstructive plastic surgery. The cosmetic plastic surgery’s goal is to enhance the original personal features of the patient as per patient’s choice for aesthetic reasons with the professional guidance of the cosmetic surgeon. The reconstructive surgery’s goal on the other hand, is to repair any deformities existing on the patient’s body whether it is from an illness, trauma from accidents, or from birth defects. This type of surgery not only targets misshapen appearance but also will correct some abnormal functions in certain body parts. Patients of plastic surgery especially those for cosmetic purposes don’t want to let people know that they have their body parts done due to the fact that they don’t want to be looked at in a different way. They don’t like to have the things done be noticed since they are having these procedures not for others but for themselves, to boost self-worth. When thinking to go through a cosmetic surgery one must reconsider first the idea in mind. You must think first why would you want to have a cosmetic procedure? Does your face or body really need some enhancement? Are you ready emotionally, physically, mentally, and financially for it? Again let me reiterate that you need to reexamine one’s self on why have you thought of having a surgery? We have already our own given unique beauty and personalities. Changing some parts especially the facial parts would affect and change other’s perception towards you. It could be positive or negative. If you have made up your mind to take a cosmetic procedure, contemplate on your reasons. Study splendidly if the kind of cosmetic enhancement procedure would be possible for your physical woes and if all you want to be done would be conceivable and surgically realistic. 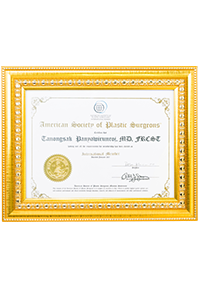 If you have already seen the discrepancies on your physical appearance and is now determined to take it to the next level , then now you need to go straight to a board certified and experienced plastic surgeon near you. Talk to him about everything you want to know on your planned procedure. Do not withhold any information in connection with the cosmetic enhancement you are planning to get. Disclose any history of illnesses and the medications taken presently and tell the surgeon about your allergies if you have. Even after talking to the surgeon, you still need to know more about the planned procedure by yourself. Check online, read books, read online forums, and ask people who have experienced it before. In doing the above things you can almost fully be prepared mentally. And so you also need to prepare physically by doing exercise, cease all alcohol and nicotine consumption and eat a variety of healthy foods necessary for the coming healing process. In case you didn’t know, a plastic surgery could change your life. An alteration of a body part may change the view of the people toward you. And will change their behavior on you and could affect you positively or negatively. So before finalizing everything, you need to be responsible in obtaining knowledge and guidance for the planned procedure. Study a lot of cases online about the procedure you want. Read books and blogs and online articles, join forums and ask surgeons online if available. And be wise enough to choose the best surgeon near your place. Try to discover his accomplishments and check if are there any negative feedbacks , and if there are see how grave they are, because not all negative feedbacks and patients’ complaints against the cosmetic surgeries are directly related to a negative performance of a cosmetic surgeon. Some of the complaints are just due to not religiously following post-op instructions and unrealistic expectations of some patients. After a cosmetic surgery, most patients tend to feel down. Their faces or other body areas involved in the surgery are not that nice to look at right after the surgery and up to the early stages of recovery. So they have a tendency to regret on taking the surgical procedure/s. However, with a prepared mind , the surgeon’s assurance and with the significant others’ support, a patient undergoing such downheartedness could easily recover. There are no 100% sure perfect results in surgeries. Even if you are under a world-class experienced surgeon there are still risks when undergoing procedures under the knife. Risks will also depend on a patient’s general health condition and health practices. Always remember that everything relies on your own decision. Ben Oyku Ozen. Ben bir Trans kadınım . Ben Asya Kozmetik Hastanesinin Türk ve Turki Cumhuriyetler Bölüm Başkanıyım. Hastanemiz size JCI standartları ile Tayland’da en iyi hizmeti sunmaktadır. ‘Önceliğimiz sizsiniz’. Ne zaman gelirseniz, size en iyi hizmeti sunmak için hazır olacağız. Ekibimiz ve ben bu sürecinizin aşamalarında yanınızda olacağız. 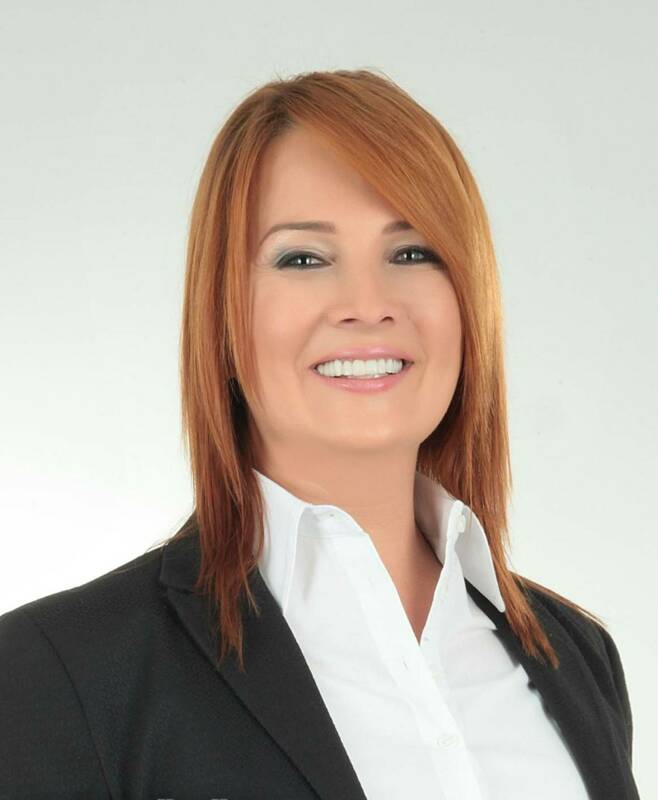 +66 92 720 6393 telefon numarasından bize ulaşabilirsiniz. Nowadays the high cheekbones can be corrected by doing cheekbone reduction surgery. In case of low bone height, surgeons will reduce the cheekbones by gridding method. 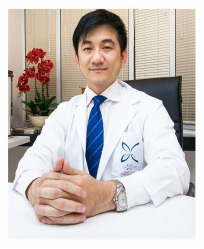 Asia Cosmetic Hospital – We offering Breast Implants procedures. Guide To Breast Augmentation, 8 Real stories of making breast surgery you never know. Jaw Reduction in Thailand (Jaw augmentation) is also called Mandible Angle Reduction. Jaw reduction surgery can help you to have smaller faces. Elevates and restructures drooping breasts. This can be done alone or can also be done along with breast augmentation procedure. Tummy Tuck Procedure – The main goal of this surgery is to repair a sagging skin of the mid-section after a sudden weight loss. Revision rhinoplasty could not be easier as the first time rhinoplasty because the nose underlying structures were already been altered from the previous rhinoplasty procedure. Rhinoplasty Reduction: is a cosmetic surgical procedure wherein the nasal bone and other underlying structure is scrapped or shaved to make the nose appear smaller and appealing to look at. A surgical procedure that repairs the lower part of the eyelid and eliminates problems relating to this part such as eye bags due to aging and excessive fat deposits or due to chronic sleep deprivation. Are you tired of your heavy body that you are thinking to lose weight in as fast as possible? 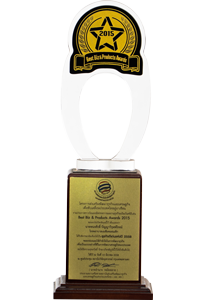 The all new and painless liposuction surgery is ready to serve you. The procedure is 100% safe and result is immediate. Looking for the most affordable and reliable facelift service in Thailand? 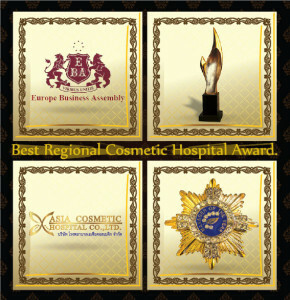 With Asia Cosmetic Hospital the best and reliable service in Thailand. Known as Nose Surgery (Rhinoplasty) is the reshaping of the nose to improve its appearance and/or reduce breathing problems. “Blepharoplasty” also known as Eyelid surgery, Procedure that removes fat along with excess skin and muscle from the upper and lower eyelids, resulting in a more alert and youthful look. The gender reassignment surgery at Asia Cosmetic Hospital, Thailand is the best for you. Many want to change the gender origin both from male to female or from female to male.